Work for OpenShift Container Platform? Learning about OpenShift Container Platform? "Openshift makes Container Management with Kubernetes Simple"
Ease of uploading is definitely a huge plus. By creating an Openshift cluster on one VM you can locally create images and immediately have them accessible and scalable in a matching web-based UI. Openshift clusters don't have clear logs upon failure and require going deep into the structure of your docker files without much clarity. Some better automated logging on the web interface would go a long way to improving the software as a whole. I recommend that anyone planning to use Openshift acquaint themselves with the Docker and Kubernetes documentation and be sure that they have experience creating Docker images of course. I think it is a great secure combination of these two open-source softwares from Red-Hat. Additionality I think the UI adds value in the right ways though it could have more information and data for administrators and users to understand errors. Overall, Openshift is a successful software stack for companies that require certified software and want to move to containerization. It is easy to use with repositories and it's secrets and volumes are easy to adapt to and get to know how to use. With limited knowledge of the documentation you can get several containers up and running and scaling within 20 to 30 minutes. Internal documentation is of course key for getting to know the software better in it's use at your company. Implementing secure containerization of micro-services for hundreds of thousands of VMs. These services must be scalable in order to meet user need fluctuation. Review your requirements and see if OpenShift Online (as-a-service) version suits you better; it might be less hassle to get started. Also consider OpenShift Origin or bare Kubernetes if you don't think you would be needing extensive support. 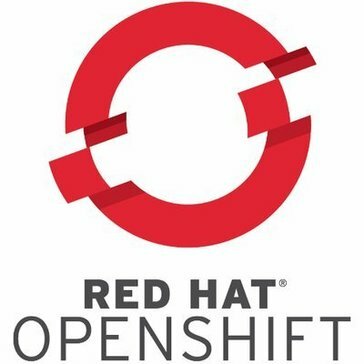 "Real flexibility and dynamics on applications level"
The Openshift is a great effort to create a span platform supporting a lot of programming languages and integrate differents parts of DevOps processes, starting from the Operations Engeeniers, Developers and including too Security Teams. It's powerful to builds a portables images layer by layer, allowing run updates from underlayer libraries and frameworks, and separated update source code application. The professional starging with OpenShift will need change the paradigm, the operations team wont should install a operations system by each new application, or the developers team with need learn to developers and builds application with cloud arquitecture, because, mailly OpenShift don't presists a lot the data, just essentials information outside openshift images, the images are readonly and currently a lot application need write data/configurations and so on, on disk to works. Deploy a simple Pilot and explore the technologies, Openshift Container Platform (OCP) have a simples enviroments to install very fast and learn the tecnologies on first hand. OCP is a beatyful product, the important is move step by step, the kept each one benefits. The business agility is supported with Openshift, the cause, the time to market, from Business users are creating the ideas and needs, to the final product is depliyed to production enviromment is more short, because, the project infraestructure provisionining can be using self-service mode, and using techniques Continous Deployment/Continous Integration the bugs and issues in developers stages are fixing fastly and autamated testing sets allow run many test on short time, after the deployment on each enviroment a span of landscape just transport the readonly image with freeze application versions and just run set of specified configuration for each enviromment. The elastic scalation is a big pain of business and OpenShift allow scalate using very specific services or microservices, then you can scalate the minimal unit with bottleneck, preserving resources and giving more performance to the application features with issues. "Container Management with Kubernets, Docker"
Some better automated logging on the web interface would go a long way to improving the software as a whole. I recommend that anyone planning to use Openshift acquaint themselves with the Docker and Kubernetes documentation and be sure that they have experience creating Docker images of course. I think it is a great secure combination of these two open-source softwares from Red-Hat. "Great tool for orchestration of Docker images"
Ease of use, easy to get started with, robust with excellent logging. Some aspects of documentation is outdated, slightly difficult to grasp the concepts as a beginess. Good way to host Java applications in the cloud. I used Openshift to host my JSF application with a little API and it was able to do these things very well. Nothing so far. It seems hard to learn but it doesn't. Good tools. It supports a lot of languages and it can solve many problems of cloud host. "Scalable and Easy to Use"
Openshift has an intuitive easy-to-use web interface. It is free (for low use) and easy to deploy. It integrates with Git and a wide variety of tools, frameworks, and languages. Lack of storage accessibility for auto scaled gears. There needs to be more GUI based management. Reconfiguration after changing node host names was a bit arduous. Try it. For a small quantity, it's free. It's very easy to use. Container storage with support for dynamic storage provisioning. OpenShift provided a platform to allow for scaling using specific services and enhanced the performance of the application features. "Open Source is my Go-To"
Very well developed software. Because of the open source community, you have a very solid product that is highly secure. Fast change of pace for features. It can be difficult to keep upgraded to the latest version and test for any issues for each release. Scalability with historically monolithic databases and breaking it down into microservices. Its a fantastic way to host Docker apps in the cloud securely. Nothing so far! Some members of my team were apprehensive about switching to a Red Hat based environment but all has worked out well. We have developed new EMR application modules using containerization technology. Openshift has greatly helped us to collaborate with our vendors effectively! "Redhat has done it again"
It's great that it works with kubernetes and works with openstack. I also think it works well for complex systems. I am not sure. I do think there are many other cloud things going on at different companies to look at. This software is a great site to use for development of software. I dislike that OpenShift has discontinued their free option. The ability to develop on the platform. Project failed to go live so no benefits were realized. "Container as a Service platform"
May be overwhelming to configure sometimes. Enabling our organization to get a continuous deployment flow that works seamlessly under the hood. The platform itself is kind of complicated to understand. 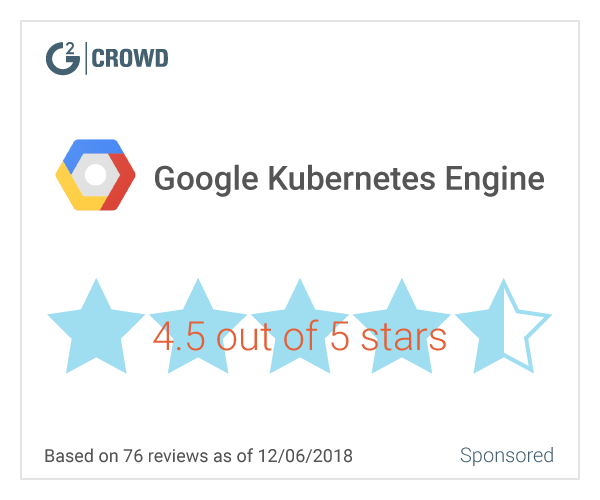 * We monitor all OpenShift Container Platform reviews to prevent fraudulent reviews and keep review quality high. We do not post reviews by company employees or direct competitors. Validated reviews require the user to submit a screenshot of the product containing their user ID, in order to verify a user is an actual user of the product. Hi there! Are you looking to implement a solution like OpenShift Container Platform?